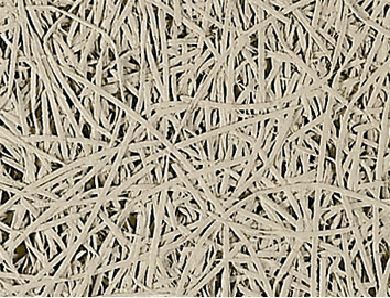 Wood fibres bonded with magnesite cement, which offers good physical properties including impact resistance. The tiles are available in a standard range of seven colours including natural, white and black. They are suitable for internal and external applications and for use with Knauf AMF suspended ceiling system. Square, recessed including bevelled edges and concealed system. Other versions are available with differing acoustic performance, consult with manufacturer for details. 24 mm exposed Ventatec grid system. CD or MF metal sections fixing. For 600 x 600 mm. For 600 x 1200 mm.